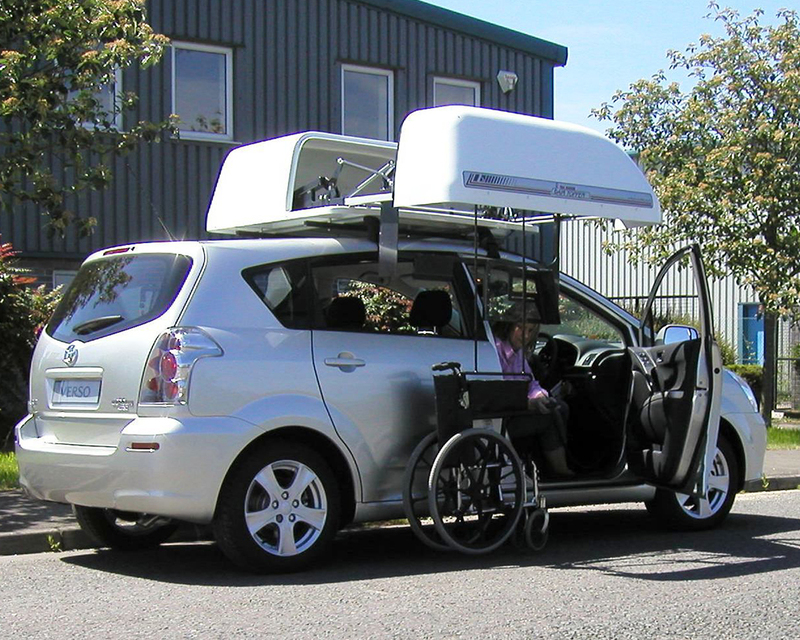 Manual chairs can be easily lifted into a wheelchair roof box or into the back of a vehicle by hoist. 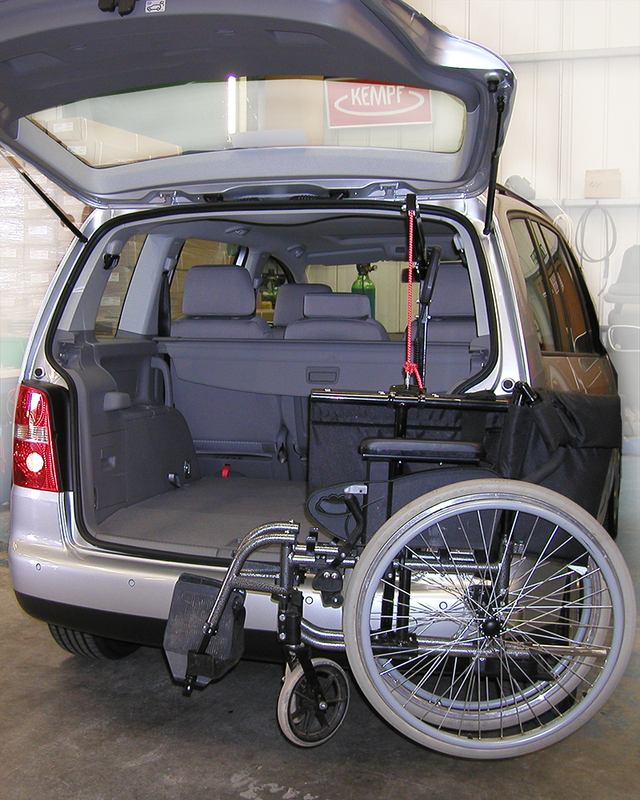 The Chair Topper stores a foldable wheelchair, leaving your car interior clean and dry. 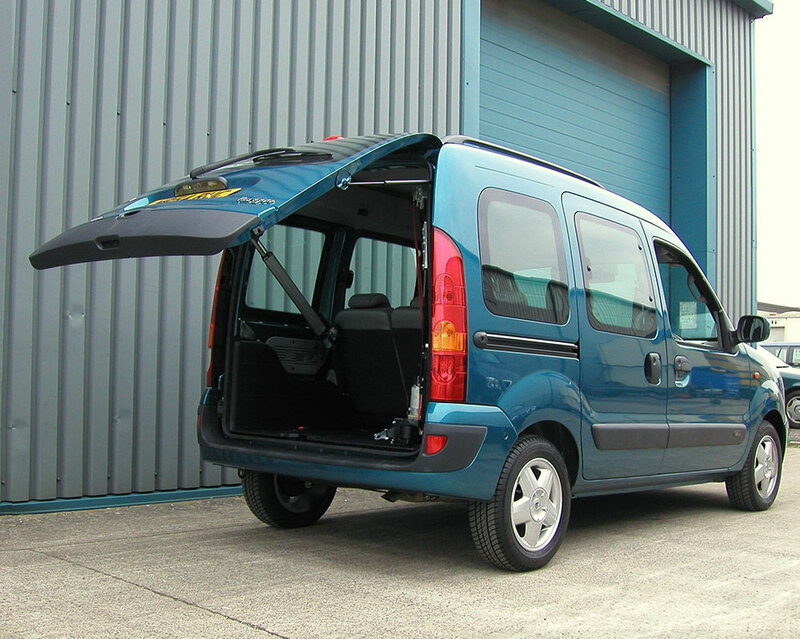 Weighing only 55 kg the weather-tight fibreglass compartment can be mounted on most vehicle models. 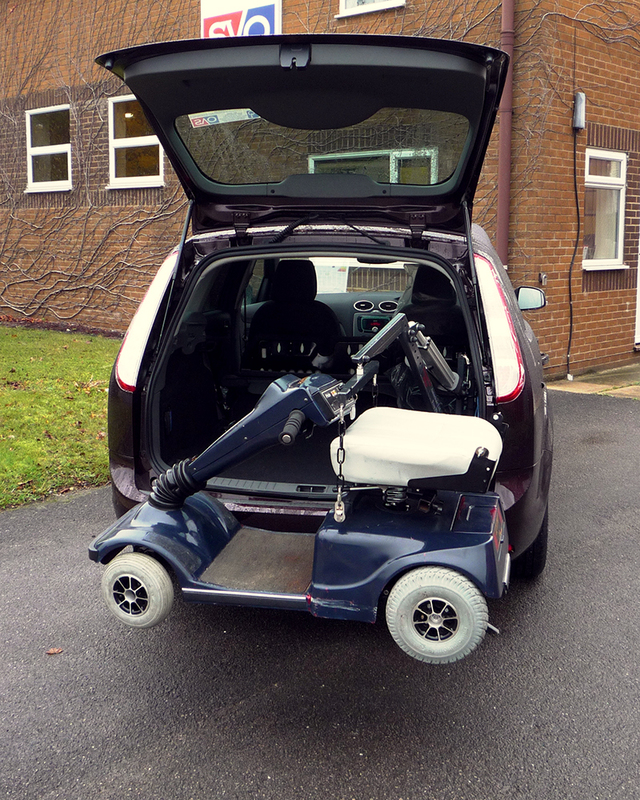 Operation is simple - Fix the folded wheelchair to the retractable lift arm and start loading. The fully automatic loading process takes about 30 seconds and is operated by a hand control. 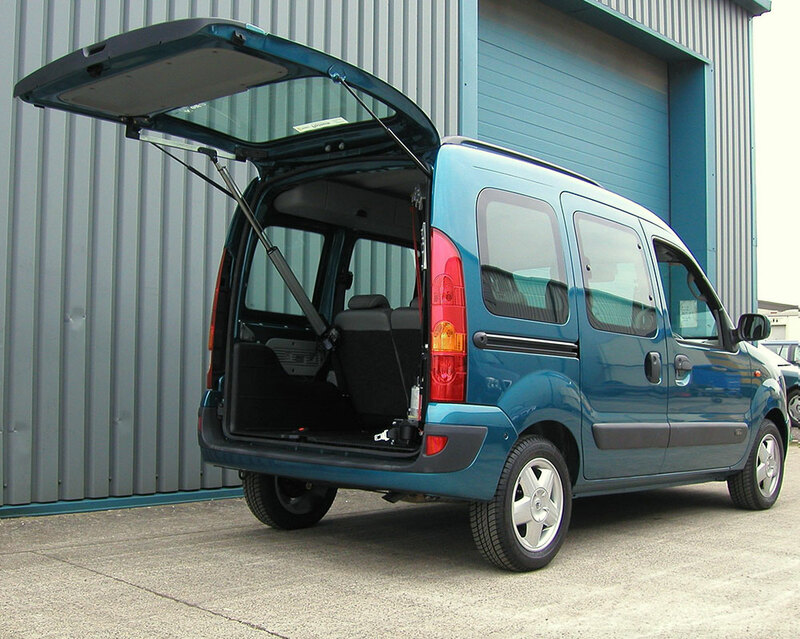 You don’t have to worry about the inside of your car getting dirty and the luggage compartment is left unrestricted. 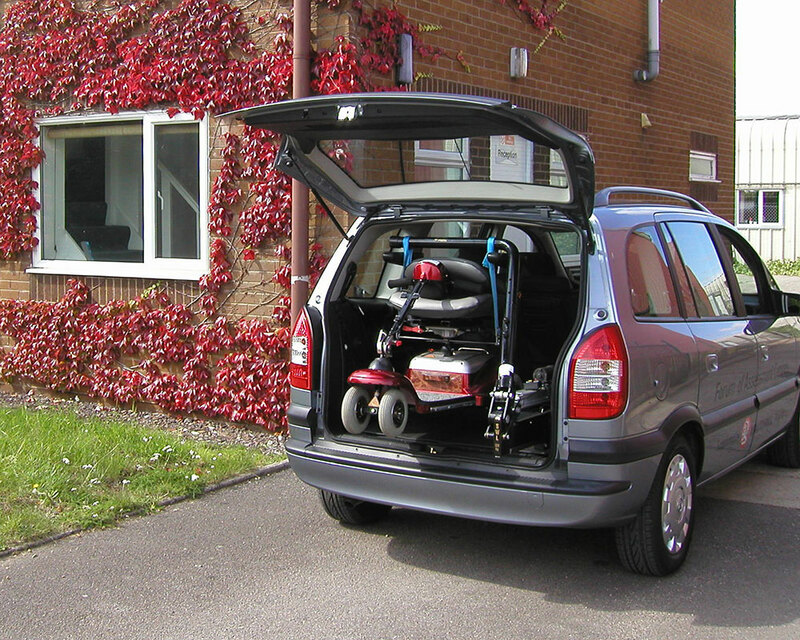 40kg and 80kg lifting capacity Mini Hoists are designed to lift wheelchairs and small scooters in and out of vehicles and are available with up/down or up/down and in/out operation. 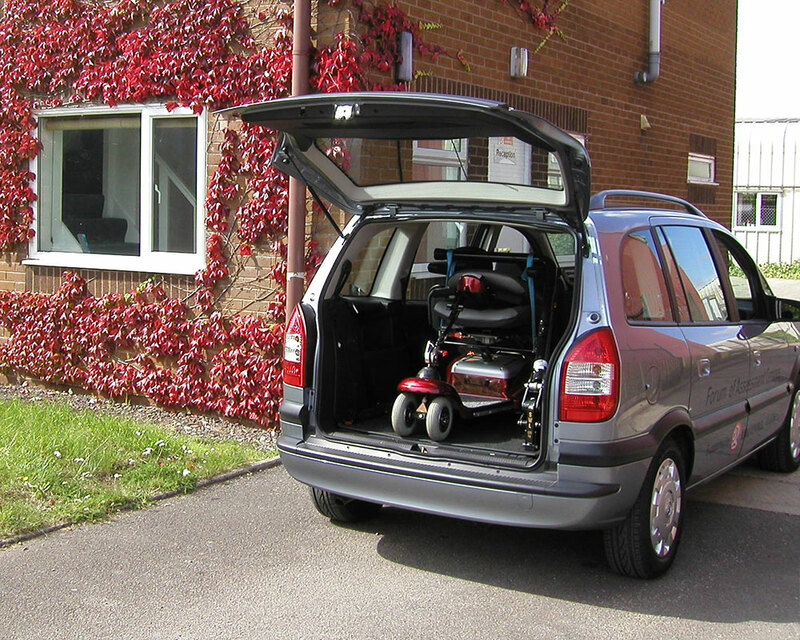 There is a wide range of hoists available to lift electric wheelchairs and scooters. 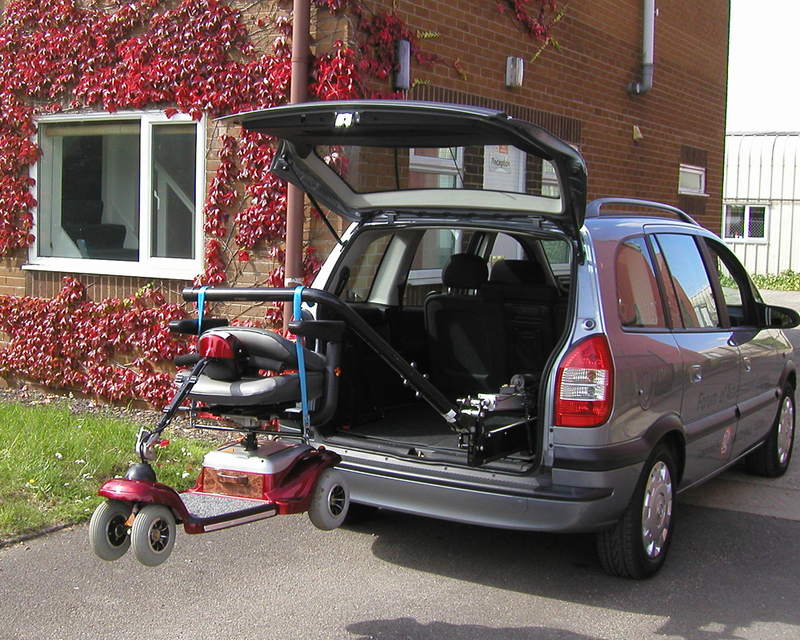 100kg to 200kg capacity Hoists are designed to lift electric wheelchairs and scooters in and out of vehicles. As well as raising and lowering electrically, they also power in and out, thus providing effort free loading. The Telescopic 120kg Hoist has an automated sequencing system. There is no requirement to guide the wheelchair or scooter while loading or unloading. This allows the user to steady themselves during the whole load or unload cycle. 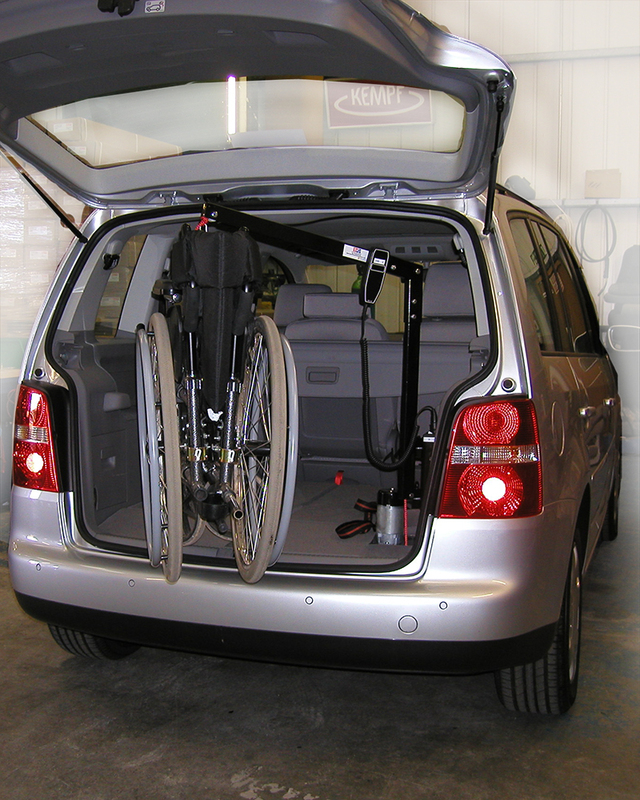 This hoist can be fitted to most estate cars, MPV type vehicles and some hatchbacks. 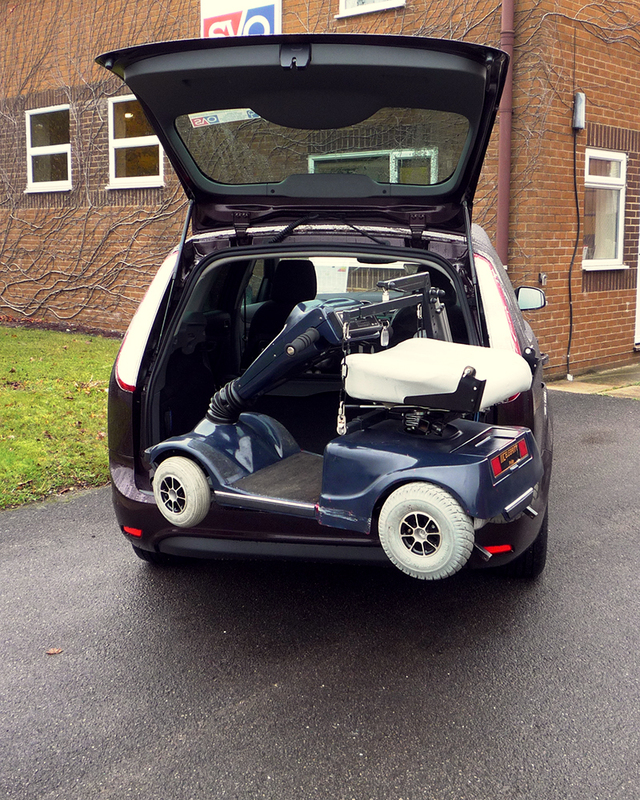 SVO offer many other adaptations and experienced staff can offer advice on the most suitable systems for your requirements. Individual design projects can be undertaken. Ramps are available in a wide range of sizes and can be manually or electrically operated. 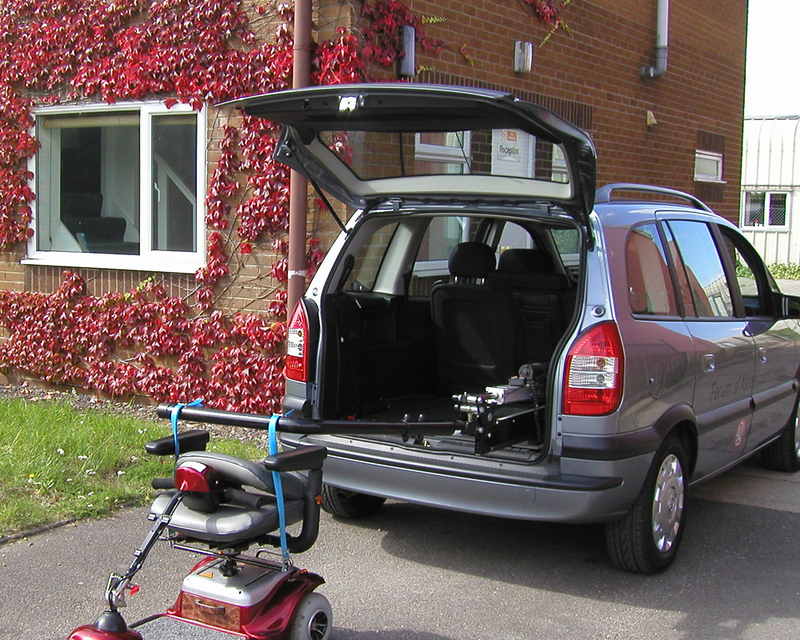 From lightweight telescopic ramps to heavy-duty wheelchair and occupant access ramps – there is an option for most requirements. 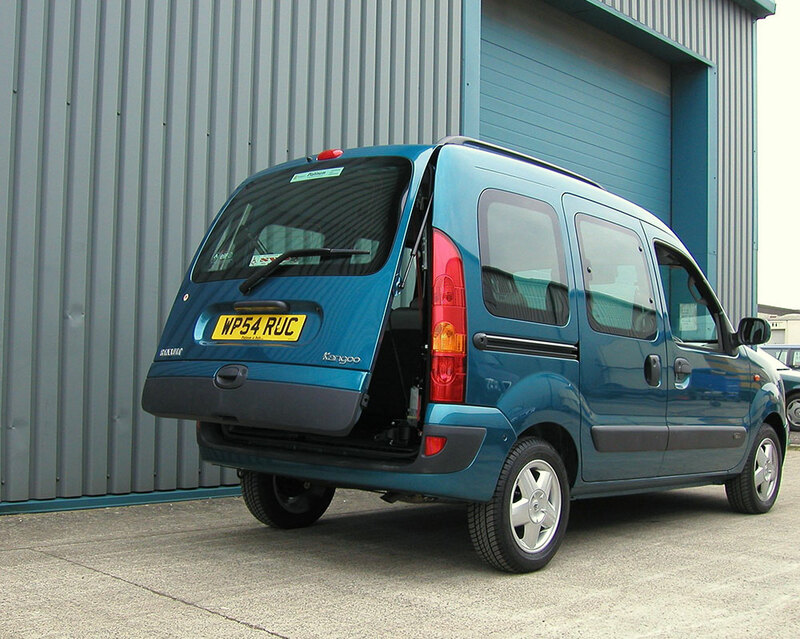 Operated by a radio remote control, the majority of car and MPV tailgates can be made to open and close automatically. If you already have a wheelchair/scooter hoist installed a 6-way remote control will operate both the tailgate and the hoist.